Back in the middle 1980’s I had an idea for converting a standard keyboard into a keyboard capable of applying 53-equal temperament. It was developed for the Apple 2E computer synthesizer called the Soundchaser. It uses software to change subsets of the wider field of possibilities. This file also includes a printout of the computer program. The project was funded by a Canada Counsel Arts Grant. 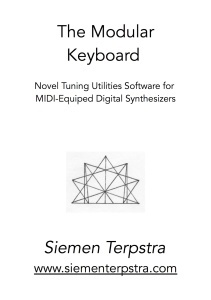 This entry was posted in 31-et, 53-et, Just Intonation, Keyboard, Multiple Divisions on 1 December 2014 by Siemen.